Me: Is your baby a boy or a girl? The only Sendak book she really knows so far is Alligators All Around, but she also heard my husband and me discussing the illustrations in The Wheel on the School, and apparently his name made quite an impression. And of course, now that she has seen that hearing her call the baby Maurice Sendak amuses me, she does it all the time. She is also quite fond of John Burningham, and attributes every book we read to either him or Bill Martin, Jr.
Another interesting habit she has picked up because of a book is calling me "Pa." This started happening after we read and/or watched the Weston Woods adaptation of Owl Moon every day for a week. I have told her that I prefer to be called "Mama" and that "Pa" would be a better name for her father, but she gets such a kick out of saying, "Hi, Pa!" that I secretly kind of enjoy it. I'm also so, so thrilled that she likes that book. I hesitated about sharing it with her when she is still so young, but she is so fascinated by owls that I'm glad I didn't wait. Another new introduction to Miss Muffet's life this month has been audiobooks. Now that she has mostly stopped napping, she often needs something to do to make "quiet time" last long enough to be worthwhile, so I decided to give audiobooks a shot. We started with Penny and Her Song, which I downloaded from the library through Overdrive, and then moved on to The Adventures of Johnny Chuck from Librivox. These were okay, but I'm finding that what really works well for her is the audio version of her Highlights High Five magazine. An audio edition of each issue of the magazine is available for download or streaming on the Highlights website, and the recordings all have signals to indicate when page turns occur. I loved "read-along" books like this as a kid, so it's great to see her enjoying the same experience. It also saves me having to read the magazine cover to cover ten times a day, and it has fostered a great love for the magazine's recurring characters, Tex (whom she calls "Tag") and Indi. My husband also raided the audiobook section at the public library this past weekend and checked out a bunch of read-along versions of favorite picture books, so I'm looking forward to seeing her interact with those in the coming weeks. On a recent trip to the used bookstore, Miss Muffet was pulling books off the shelf in typical toddler fashion when she happened upon Jeanne Titherington's Baby's Boat, which is an illustrated version of a lullaby we have been singing to Bo Peep for the past few months. I'm not entirely sure Miss Muffet understood what she had found, but once I told her it was a book version of her sister's favorite song, she was very excited to sing it with her, and we decided to purchase the book. Though we have many baby-friendly books around the house for Bo Peep to explore, this is the first one we bought for her because of her own interests. We have only read it a few times, but she absolutely loves the baby in the pictures, and Miss Muffet pointed out that the baby even looks a little bit like Bo Peep. I probably would not have chosen this book for either of my children on my own, but I'm so pleased to finally have something in our collection that represents Bo Peep's budding personality. When Tom's brother, Peter, contracts the measles and is placed in quarantine, Tom is sent to stay with his Aunt Gwen and Uncle Alan in a house owned by Mrs. Bartholomew. Mrs. Bartholomew also owns a grandfather clock, which, due to being rusted into the wall, remains on the lower level of the house even though her rooms are on the second floor. The clock never strikes the correct hour, and, Tom notices, in the middle of the night, it strikes a non-existent thirteenth hour. It is during this mysterious extra hour that Tom leaves his bed and wanders outside into a magnificent garden which is not there in the daytime. And it is in this garden that he meets Hatty, who is living at some point in the history of the house, and who can see Tom when others cannot. The two form a friendship which becomes important to both of them and remains so even as Hatty ages and outgrows Tom as a playmate. I am starting to realize how heavily British my reading list is for this project. So far, I think only The Wonderful Wizard of Oz and Savvy are by American authors, and this is the fourth Carnegie Medal winner I have read so far. (The others are The Graveyard Book, The Little White Horse, and Skellig.) I used to have a really hard time getting into British books, even after successfully reading Harry Potter, and I have only recently been cured of this problem by watching EastEnders. So now that I feel I can handle the language, I guess I have some catching up to do in the world of British kids' books. In any case, like Little White Horse, Tom's Midnight Garden is another beautifully written story with which I have fallen completely in love. I have always been intrigued by time travel and time slip books, so it was natural for me to gravitate toward this story, but whereas other books have tackled this concept from a very scientific standpoint, this book plays heavily to the emotions instead. This is a book about friendship between two people who love and admire each other despite the challenges presented by the confines of time and space. What begins as a story about a boy climbing trees in a mysterious garden no one else in his time knows about becomes something much greater: a commentary on growing up, a celebration of true friendship, and a life-changing experience for both Tom and Hatty. The ending, above all, is handled beautifully, showing Philippa Pearce's great command over the English language, and stirring up unexpected emotions in the reader. 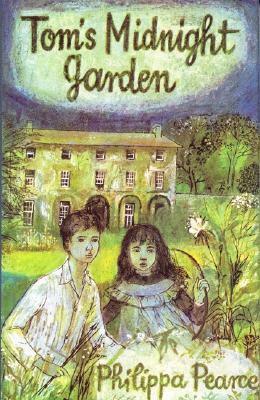 Tom's Midnight Garden was adapted for film in 1999, and that film is infinitely better than the movie version of Little White Horse I mentioned a couple of weeks ago. There is a bit too much additional backstory tacked on at the start of the movie that does not appear in the book, and the screenwriter also added an unnecessarily cheesy ending that takes the reader beyond Pearce's stunning final moment, but everything between those two things is faithful to the book. Certainly read the book first, as there is nothing like it, but you need not avoid the movie, as it preserves the integrity of the story quite well. When Lina, one of the six schoolchildren in the Dutch fishing village of Shora, writes an essay questioning the lack of storks nesting in Shora, the teacher reads it aloud to the class. Afterwards, he challenges the students (Lina, and her male classmates Auka, Jella, Eelka, Pier, and Dirk), to begin wondering seriously about the reasons storks might not come to their village, and suggests that by wondering, they may set important things in motion. The class's musings about the stork question lead them to realize that the way to attract storks is to give them a place to nest. In the absence of any trees, they decide to put a wagon wheel on the roof of their school so at least one pair of storks can move in. Finding a wagon wheel proves difficult, however, and soon the whole community is brought together in an effort to find and install the wheel and to help storks safely land upon it. The description of this book might sound a little cheesy, but the execution is anything but silly. The story unfolds very organically, beginning simply with a schoolgirl's curiosity, and spiraling outward into a life-changing community project. The story is inspirational, but not in a showy or sentimental way. The reader is inspired because the characters are so real and so believable, and the obstacles they must overcome are familiar and relatable. This is a book about the value of asking questions, looking for solutions, and working together, but it never preaches to the reader about a single one of these themes. I did have some trouble with the language that made me consider abandoning the book early on. DeJong often repeats ideas, and even specific phrases, over and over again within the space of just a few sentences, which interrupted the rhythm of the story for me. 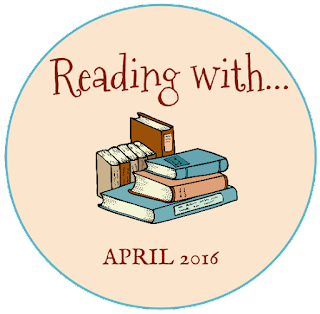 I read segments of it aloud to my younger daughter (yes, babies love novels!) and I found myself getting tripped up quite a bit. I can't tell if this was a byproduct of DeJong's first language not being English, or if he was purposely constructing his sentences differently to highlight the difference between the language of his characters and that of his readers. I think, once I settled into the voice of the book, it worked well as a means of conveying that the characters do not actually speak English, but it made reading the book take twice as long as it needed to. The Maurice Sendak illustrations also intrigued me. The black and white spot drawings which appear throughout the book are quite different from his iconic images of Max and the wild things, but they show his range as an artist. I could see hints of Max and Pierre and Mickey (from In the Night Kitchen) in the figures' faces, but because this is a novel and not a picture book, the role of the illustrations was more supportive of the text and less interwoven with it. 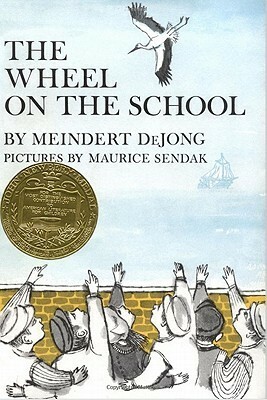 Sendak provides the details of how the characters dress, including their wooden shoes, and he shows the excitement the community feels about their stork project in the way they move together in groups. I also absolutely love the original cover, with the children looking and pointing upward at the stork, as it manages to convey everything the book is about without truly giving anything away. Overall, I enjoyed this book very much. It's as relevant today as it was 60 years ago, and it's a perfect read-alike for Great Northern?, the last book of the Swallows and Amazons series, which focuses on protecting a rare bird species. It also reminded me vaguely of Because of Winn-Dixie, because of the way involvement with the storks seems to heal members of the community of some of their difficulties, and of The View From Saturday, in the sense that the characters come together as a team quite by accident, without fully understanding the influence of their wise teacher. Michael is worried about his newborn baby sister, who has some health problems. Then he discovers Skellig - a man? a bird? - living in the old shed behind his house. He confides in Mina, a neighbor girl who is homeschooled, and together they work to uncover the mystery of who or what Skellig may be. 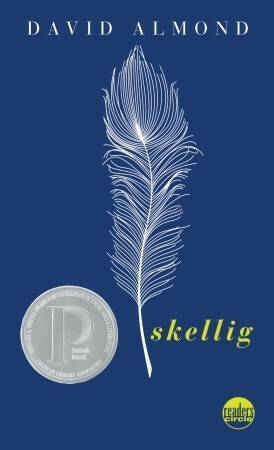 Skellig made my reading list for this project because I have read some David Almond, and wanted to make sure I read his most famous work. Like his other books, this one is infused with a creepy sense of foreboding, which no one can create quite like Almond. I always find it necessary to read his books quickly and reach the resolution within a couple of hours because I can't stand that unnerving feeling that something terrible is about to happen. In this book, especially, I spent a lot of time worrying about the baby - probably because I have a baby myself - and there was no way I could have gone to bed without finishing the book and knowing the outcome. As I read this book, I also kept thinking to myself that Almond essentially writes the same story over and over again. Themes of life and death, ill and endangered babies, birds, and children meddling in supernatural situations that are bigger than they realize all occur in Raven Summer and Clay, which are the other two I have read. I think Skellig handles these themes best of the three books, but it makes me wonder what has happened in Almond's personal life to cause his preoccupation with these elements, and why he felt it was necessary to write the same type of story more than once. That said, I recognize why this book is a Carnegie Medal winner and a Printz honor book. The writing is impeccable, if unsettling, and the story is unique among fantasy novels because it so thoroughly blurs the lines between fantasy and reality. The religious elements are also a plus for me, and I like that these are presented organically, as the story reveals the truth about Skellig, and not as a didactic statement from the author. All in all, this is a worthwhile read. We already owned a copy before this reading, based on my husband's enjoyment of it, and I will happily share it with my children when they are of middle school age. The Sword in the Tree is a beginning chapter book set in the time of King Arthur and first published in 1956. Shan is the son of Lord Weldon and Lady Marie. When Lord Weldon's brother, Lionel, arrives at the castle, Lord Weldon goes missing and is pronounced dead, and Lionel takes control, causing Shan and his mother to flee for the sake of their safety. Shan wants to reclaim his father's rightful place in the castle, but first he must prove he is the true son of Lord Weldon. 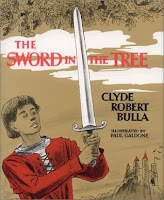 Kids love knights and castles and swords, but few first and second graders are ready to read longer, more complex King Arthur stories. This book makes it possible for them to enjoy the subject matter on their own level, but without sacrificing any of the suspense or excitement. The plot of this book is well-structured, unpredictable, and very satisfying. The characters, though not described in very much detail, come to life through their words and actions, and of course, the presence of King Arthur himself is a key part of the book's appeal. There is also a strong sense of right and wrong in the story, which I appreciate as a parent, and enough happiness in the ending to please sensitive readers who might be otherwise troubled by some of the story's events. There are not enough well-written historical fiction or adventure stories for beginning readers. Though this one is old enough to have been enjoyed by many children's grandparents, it holds up so well that there is no reason libraries should not have it on their shelves today. Compared with contemporary offerings like the Kingdom of Wrenly series and Magic Tree House, this book is less predictable, more exciting, and better written. Very highly recommended. There is absolutely nothing I enjoy more these days than a Tricia Springstubb novel. 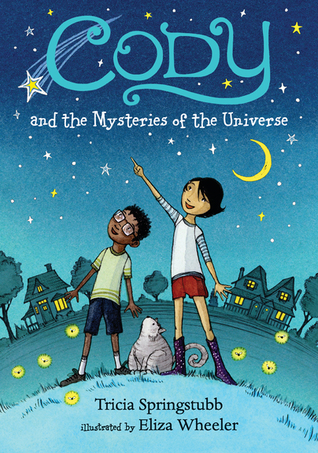 Though this second book in the Cody series, following Cody and the Fountain of Happiness, is sometimes called a chapter book, the writing style and vocabulary make it appropriate for many upper elementary readers as well. Like the first book, this sequel is a real slice-of-life tale filled with the day-to-day activities and observations of Cody and her friend, Spencer. As the book begins, the start of the school year is days away and Spencer and his parents have just moved in with his grandmother, GG. While Cody worries that Spencer might get a mean teacher, she and Spencer also become fascinated with GG’s next door neighbors, The Meens, who do things like kill bugs and crush soda cans with their bare hands. In the meantime, Cody’s brother Wyatt suffers from girl trouble, as his girlfriend Peyton Underwood keeps breaking up with him. I’ve seen some reviewers complain that this book doesn’t have a plot, but I’m not sure kids will care. Cody is likable in the same way as Clementine, and kids who are drawn in by her personality will have no problem following her on any adventure, no matter how small.